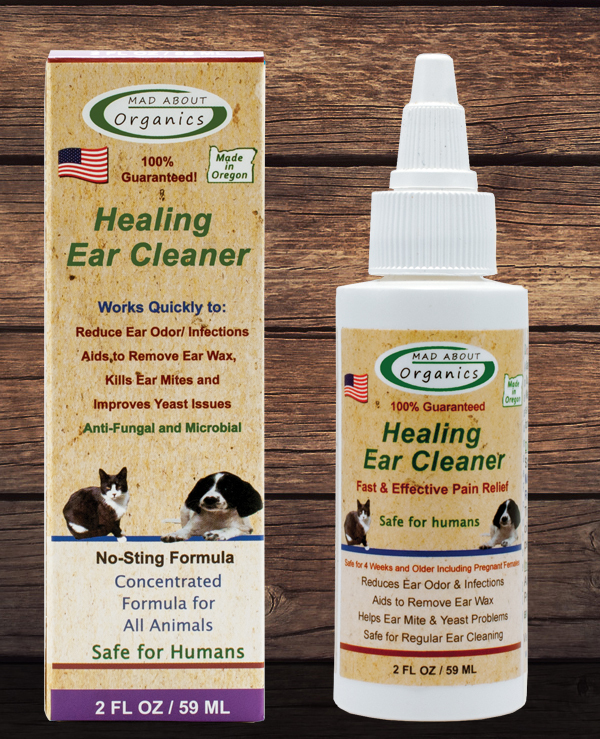 Mad About Organics' Organic Healing Ear Cleaner uses only the highest quality ingredients to clean and disinfect the ears of cats, dogs and farm animals. 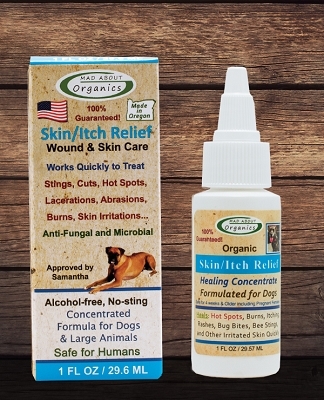 This gentle formula is safe and effective for regular ear cleaning, and is designed to dissolve ear wax, remove foreign debris, and help the ears from mites issues. Keeping your pet's ears clean is very important to maintain good health. 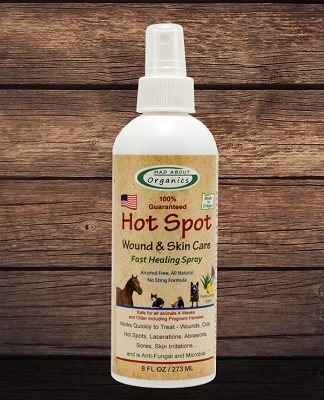 Mad About Organics Healing Ear Cleaner Liquid is a non-irritating, soothing formula that is easy to use and helps remove dirt and dissolve waxy build-up. Monitoring your petâ€™s ears once per week for wax, debris and infection will help those sensitive sonar detectors stay perky and alert to your every move. 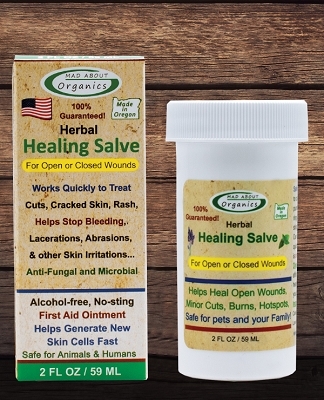 Mad About Organics Healing Ear Cleaner solution is especially helpful for breeds with floppy ears as well as cropped ears and for pets that spend a lot of time outdoors. 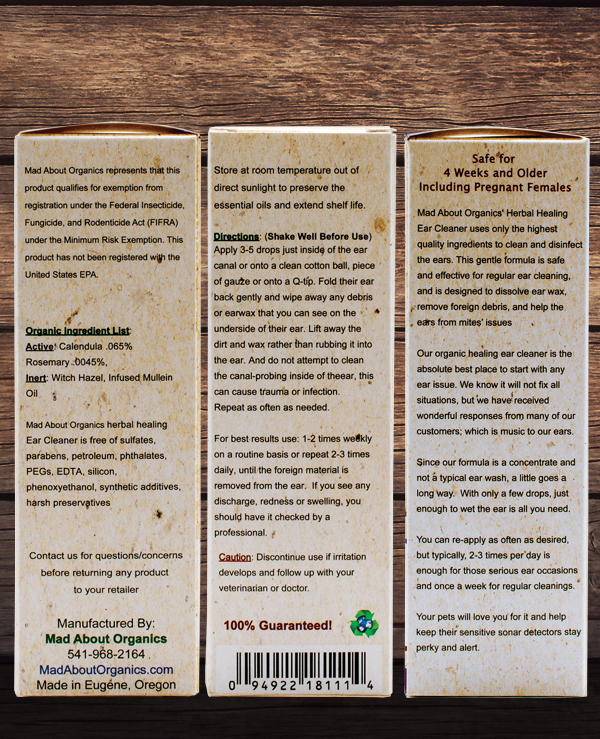 Mad About Organics' Healing Ear Cleaner is made in the USA - based in Eugene, Oregon and packaged in recyclable materials. LOVE this product. I've tried a few others as I have one cat that gets constant ear infections. Used this on him for a few days and it cleared up and has yet to return. Great for cleaning all my pets ears. Using this right now on my floppy ear Shi-Tzu's. Seems to be helping them. I have a dog with ears that flap over and are subject to regular ear infections. Rather than allow me to have a renewable prescription to treat the problem, Vets (more than one) want me to bring him in for a costly exam every time he has an infection. $$$$$ Greedy. I went to the pet store to hopefully find an alternative treatment, and with few options, decided to give this product a try. That was yesterday, and today the infected ear looks amazingly better, and quicker than the Mometamax the Vets prescribe. Highly Recommend!! I absolutely love this product! Since we adopted our cat 9 years ago there have been chronic ear problems. His ear tips are folded over because of an issue he had as a young cat. I started using the ear treat a few weeks ago and since then we have had great success in keeping his ears clean and sans infection! I am completely amazed! I only wish I had found this product sooner! I have a Peekapoo, Vegas, whom I rescued 6 years ago. She has always had "itchy ears" and I used a product from my Vet's office that she just loathed. I think it may have burned her ears. I've been using the healing ear cleaner for about 3 years now and it is truly a remarkable product. I massage it inside her ear before squeezing a few drops into her ear. I no longer have to "run her down" to clean her ears!!! This product was recommended to me by "The Feed Store" in Summit, Illinois and it proved to be the only product (OTC or prescription!) that helped me successfully treat a rescued cat with a massive ear infection. He had allergic reactions to prescription treatments and, tho a mellow cat, other treatments caused him to want to get away -- upon opening their bottles, etc.! I could not be more pleased and am ordering online as you offer a larger bottle. 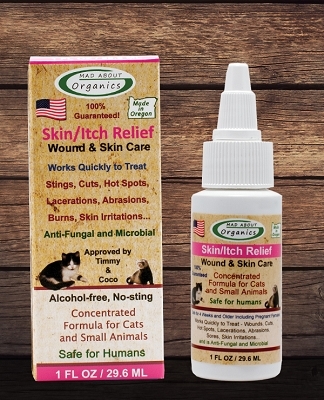 Other cats n house also do not mind ear cleaning with this product -- for which I am very grateful. . Apply 3-5 drops just inside of the ear canal or onto a clean cotton ball, piece of gauze, or onto a Q-tip. Fold their ear back gently and wipe away any debris or earwax that you can see on the underside of their ear. Lift away the dirt and wax rather than rubbing it into the ear. And do not attempt to clean the canal-probing inside of your pets ear can cause trauma or infection.. Repeat as needed. For best results use: 1-2 times weekly on a routine basis or repeat 2-3 times daily, until the foreign material is removed from the ear. If you see any discharge, redness or swelling, you should have it checked by a professional.